ARCHIMANDRITE IRENEI is the Dean and Director of Studies at Saints Cyril & Athanasius Orthodox Institute. He is responsible for its development and foundation as well as its academic program. He is also the core lecturer in both patristics and Church history. FATHER MAXIMOS is a monk of the Holy Monastery of Simonopetra, Mount Athos (Greece). Father Maximos appeared on CBS's 60 Minutes Mount Athos program. He is a native New Yorker, and a graduate of Hellenic College and Holy Cross Greek Orthodox School of Theology. Father Calinic was born in Detroit, Michigan and baptized by his maternal grandfather at the St. Simion Romanian Orthodox Church. In 1969 his family moved to California. As a child and as a teen he attended the Orthodox Church of the Redeemer in Los Altos Hills, California where he formed the desire to serve God as a priest. ARCHIMANDRITE ZACHARIAS, Ph. D., is a disciple of Elder Sophrony (of blessed memory), who was a disciple of St. Silouan of Mount Athos. Fr. 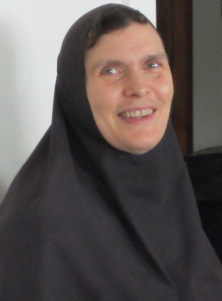 Zacharias has been for forty years a monk in the Monastery founded by Elder Sophrony: The Patriarchal Stavropegic Monastery of St. John the Baptist, Tolleshunt Knights by Maldon, Essex, England.